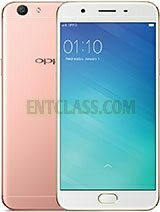 This is another selfie smartphone from Oppo. This smartphone came with an amazing specifications and features. It packs what smartphones of now should have. Am sure you will like the specifications of this phone. Let's say hi to Oppo F1s which is qn Android smartphone running on Android v5.1 lollipop with 4G LTE network enabled. This phone packs a 3GB RAM with 32GB internal storage also external storage; microSD, up to 256GB. Like i said earlier, Oppo F1s is a selfie smartphone. It has a 13MP back camera with LED Flash and 16MP front selfie shooter. This smartphone also has a fingerprint scanner. Just take a minute or two to see the full specifications below. Seeing the above specs and features, what do you have to say about this smartphone?